A few weeks ago I was chosen to host a Disney Side @Home Celebration party and received a party kit that contains all of the tools needed for a magical gathering for my family and friends. My family and I were ecstatic when we received a 22-pound box delivered to our front door. Inside the box are Disney Side invitations, Disney napkins, cups, plates, a tablecloth and decorations, Mickey and Minnie snack supplies, Disney party favors for guests like pencils, stickers, and crayons. Some Disney themed activities, such as Bingo, trivia, word searches, matching games and more. I also received cake decorating supplies, HP CMYK, Soy Vay Veri Veri Teriyaki, Disney vacation planning DVDs, luggage tags and a lot more! 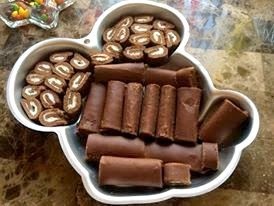 My 8-year old daughter helped me with all of the last minute preparations and we made some snacks that goes along with our Mickey and Minnie themed party. We invited six kids but unfortunately two girls only showed up at the party. We played some games and trivia questions as well. Both adults and kids had a magical time during that day. I was going to use the Mickey Mouse cake pan for the cake, instead I used the pan as a serving tray for my Swiss rolls. My guests really loved my Mickey Mouse colored cake. I made the filling and icing from scratch and added some fresh fruits on top. I like the fact that the Mickey Mouse pan is really versatile. I can't even tell it's a cake pan. 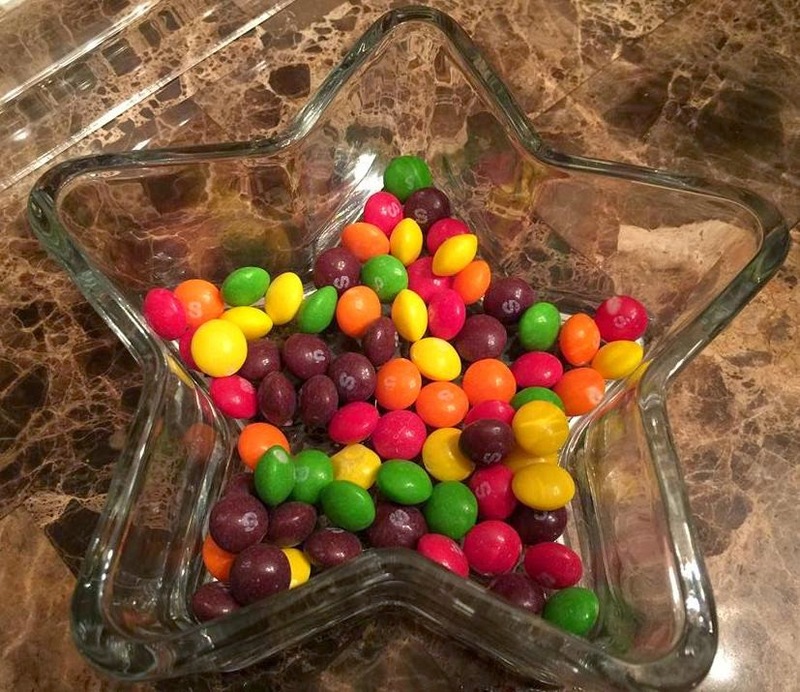 My daughter made these cute star-shaped rice crispies dazzled with colorful sprinkles and star-shaped pineapples. Overall, my family and our guests had a great experience. The party reminds us all how we had an spectacular Disney vacation four years ago. We can't wait to plan for our next Disney trip soon! You can follow Disney Parks on Twitter or like them on Facebook to keep up to date with all of their exciting things going on. So what are you waiting for? what great fun to host a disney party! It looked like everyone had a blast! 22 pounds of Disney fun??? You are tooo lucky! I love the yellow/black/red streamers, and the star-shaped Rice Krispie treats the most. I love the way you colored your layer cake. How totally fitting! Funtastic. My kids would love that too. Please let me know if anyone is interested in selling paypal funds or even buying paypal funds from me. See my FB page for it. 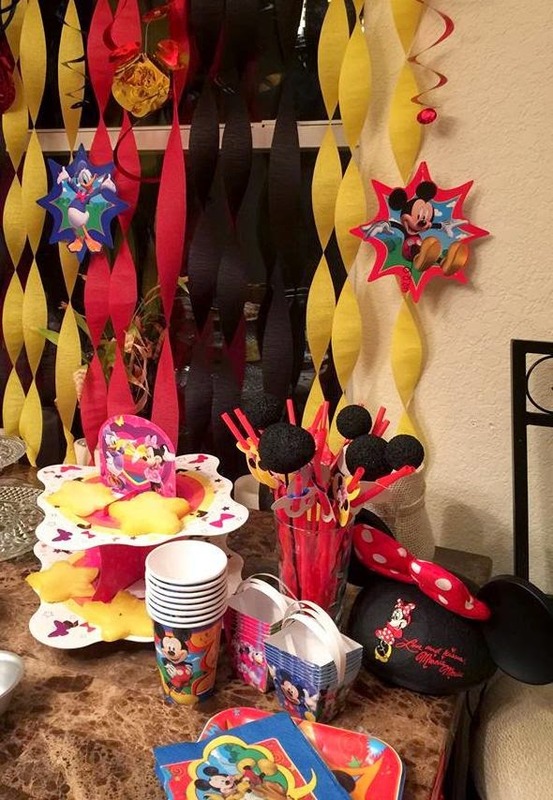 Oh, the kids would LOVE that Disney party pack - it looks like everything is there to get the party started! How fun! We through a Disney Side party last year! Looks like you guys had a blast! Wow, that's cool! The kids love these Disney themed. I like the streamers, so pretty! Wish we could attend your party Akesh!